• Get pumped for the Bluecoats' "Down Side Up"
The Battalion hosted the Madison Scouts the corps' Sanpete Beat preview show on June 21. The Blue Knights had a successful send-off show in Englewood, California on June 17. Blue Stars' preview performance on June 24 also serves as a food drive for the Hunger Task Force of La Crosse, Wisconsin. The Bluecoats debuted their 2016 program “Down Side Up” along with all-new uniforms at the DCI Tour Premiere. One of the latest videos from the Boston Crusaders hyped fans for the first step-off of the season in Indianapolis on June 23. 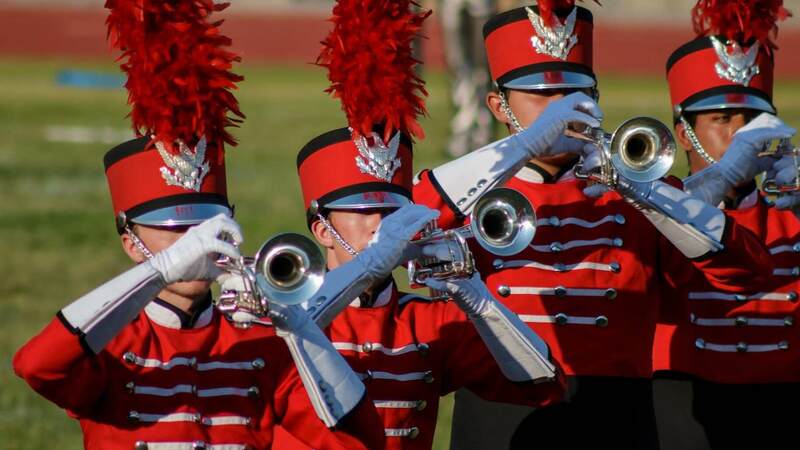 The Cadets are in need of “able-bodied, DCI-loving” people to join their prop crew for the 2016 season. Crown went live on Facebook with the corps in the lot and tunnel at Lucas Oil Stadium on June 24. Get up close and personal with the Cavaliers' front ensemble percussionists in this new feature video. The Guardians are in immediate need of a backfield conductor with previous experience, as well as several other corps positions. Legends is hosting its "Friends and Family Showcase" on June 26 in Three Rivers, Michigan. Mandarins gave us a sneak peek of the corps' production during its "Family Day" performance in Elk Grove, California. Music City has an opening for a tuba player, preferably with previous experience. Pacific Crest previewed its 2016 production “The Union” via Facebook Live on June 18. Phantom Regiment took us inside the stadium tunnel before its first performance in Indianapolis on June 23. Pioneer posted more than 100 photos from its first public performance of “St. Joan of Arc” on Father’s Day. The Racine Scouts announced that the corps will not compete as part of the 2016 DCI Tour. The corps posted on Facebook: "This is NOT goodbye. We WILL return to competitive status sooner than later, and we wish all those involved in any facet of drum and bugle corps a most successful season." “Dive Deeper Into ‘Force of Nature’” with this article exploring the music of the corps’ 2016 production. The corps has immediate positions open for trumpet and tenor drums. Members of the Spartans will unveil their 2016 program “Totem” at the corps' "Friends and Family Day" in Nashua, New Hampshire on June 26.